The California Highway Patrol’s (CHP) official Start Smart app is designed to help soon-to-be teen drivers with the process of obtaining their California Driver License. 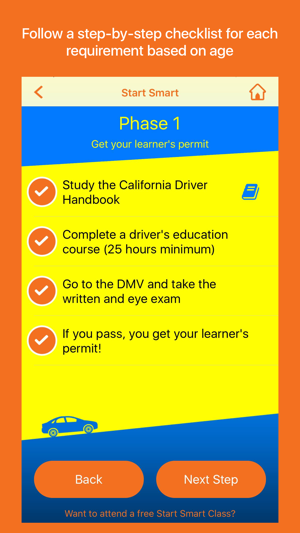 The Start Smart app includes a step-by-step guide with resources covering everything from the DMV Driver Handbook to the final steps of obtaining a provisional license and ultimately achieving an unrestricted California Driver License! 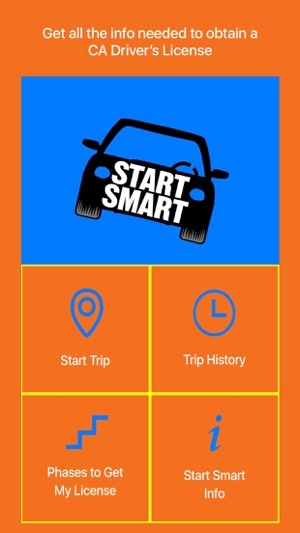 Start Smart includes a handy driving log which tracks top speed, average speed, distance traveled, duration of trip, and trip date. You can send via email, a PDF of stats for an individual trip or for all trips recorded. 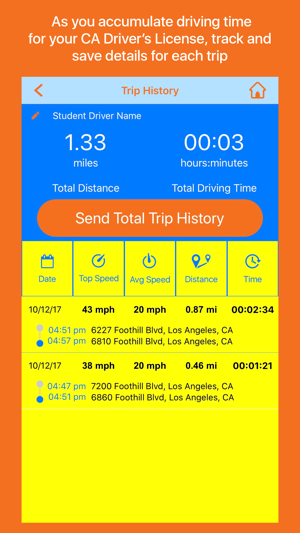 The app also tracks total driving distance and time spent behind the wheel as you accumulate the driving time needed to obtain your California Driver License. 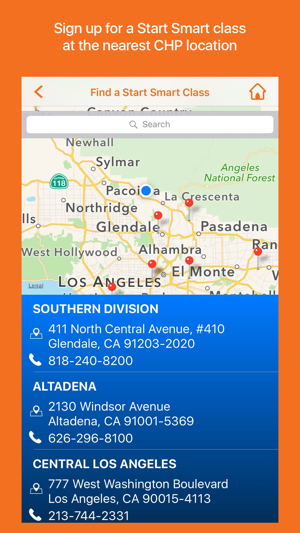 The Start Smart app also includes a map with locations of nearby CHP Area offices where you can attend a free and exciting Start Smart class. These classes are designed to help teen drivers become more aware of the responsibilities that accompany the privilege of being a licensed California driver. Nice App, but needs one more fix.. The app look nice, however the Drivers Handbook you are linking to is the 2015 version and NOT the current 2018/2019 versions. This could get the students into trouble when they go into take their driving test. You should at least make sure this app links to the most current version of the drivers handbook, or the students using your app will have issues with you before they ever start their life on the road.